Inspirational pictures. In search of Al Fresco dining in our near future. 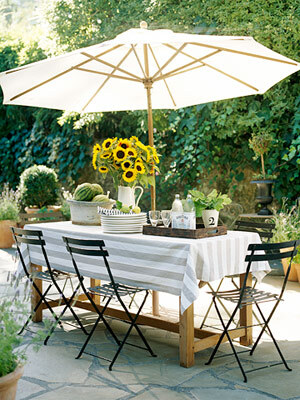 Looking for that perfect farm table to add to our yard. Lots of candles, vintage tablecloths and mix n match chairs. Enjoy! Hola Claudia, a very beautiful inspiration for your summer over there. Where are you from, I went to your profile but you don tell there.